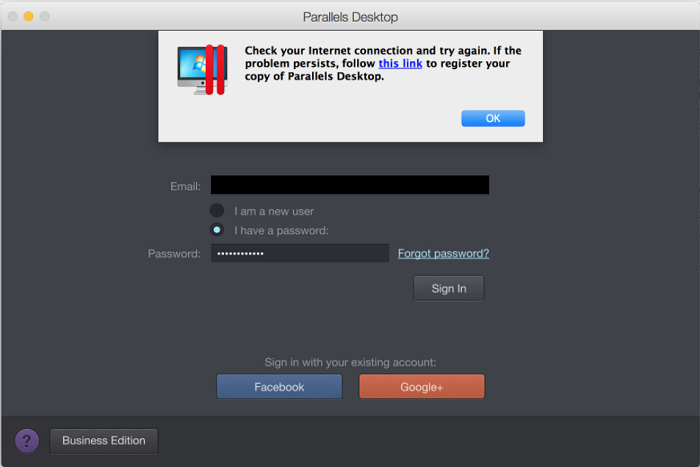 There is no possibility to register a copy of Parallels Desktop, Parallels Access or Parallels Toolbox, a message say to check your Internet connection. Even though the Internet is working fine, registration is still not working. 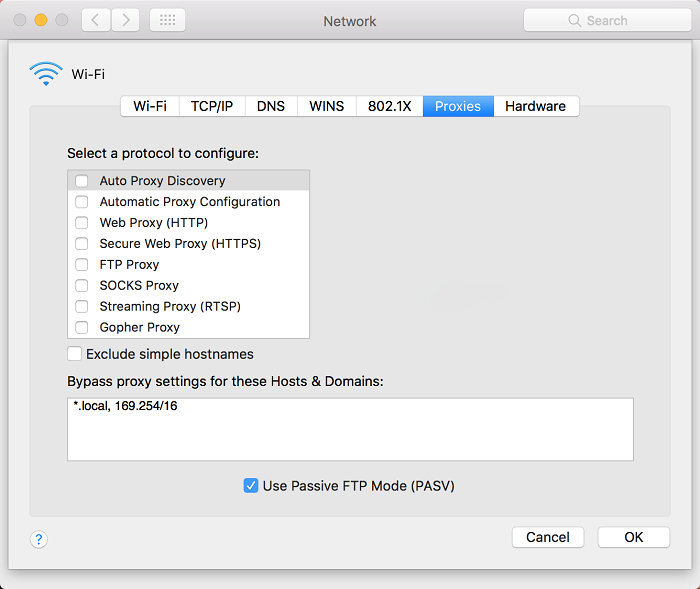 Mac operating system may have a faulty registration domain listed in your local hosts file which prevents Parallels Desktop to register. 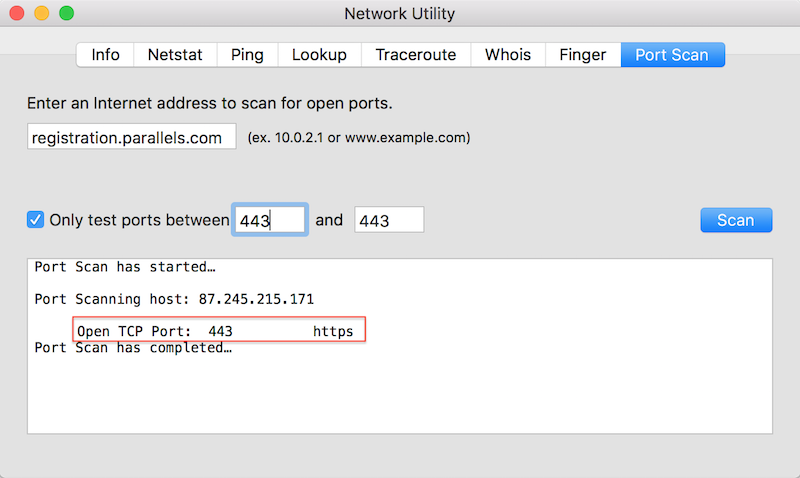 Port 443 is blocked by network security settings/firewall or on the company's server due to security restrictions. Temporarily disable firewall/antivirus application installed on the Mac according to its manufacturer instructions. It's strongly advised to restart the Mac to apply changes. If disabling firewall/antivirus won't help, temporarily remove the application. NOTE: Add Parallels Desktop application to firewall/antivirus exclusions so the issue won't happen again in the future. Close Terminal window and try registering Parallels Desktop again. a. Reconfigure network settings/contact IT administrator. b. Use different type of connection (e.g. a mobile device as a hot spot).